County Seat Veterinary Hospital is a newly-established, full-service, small animal veterinary hospital providing comprehensive medical, surgical and dental care. 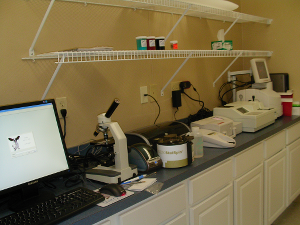 The clinic was just established by Dr Sarah Stewart DVM, in the spring of 2008. It has always been Dr. Stewart's goal to better the lives of the people and pets within the community through high quality veterinary care and compassion. The clinic motto is "treating pets like our own." When you bring your animal to County Seat Veterinary Clinic you will know that Dr. Stewart and her staff will treat your pet just as if they were treating their own pets! At County Seat Veterinary Hospital we strive to offer not only sound advice, but also optimal veterinary care, thus allowing you the enjoyment of your companion for a maximum number of years. Our job is not only to treat your pet when he or she isn't feeling well, but also to help you learn how to keep your best friend happy and healthy.